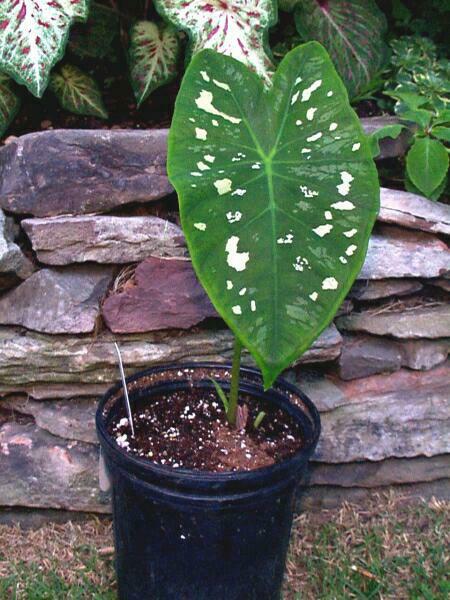 Is this really an Alocasia? It sure seems to be growing more like a small colocasia. It was sent as a bonus plant by Glasshouse Works after my 1997 mega-order. It arrived with a small offset which has also rooted. It currently has 2 leaves and shows signs of new growth. Given my limited space, I'm hoping someone tells me that it can hibernate as a tuber over the winter.